Ideally located in the seaside resort of Golfe Juan on France’s Côte d’Azur, Ocean Drive carries about twenty years’ experience as a motor yacht professional with extensive knowledge of the West Mediterranean Sea destinations. 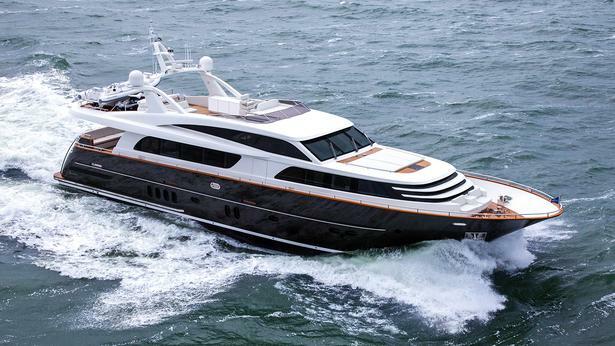 Ocean Drive covers all the aspects of the yachting business including sales, brokerage, management & charters. Founder of Ocean Drive in 1999, Renaud was raised in a nautical-based environment : his Uncle was an Admiral, his Grandfather was Captain in the Navy and his father was Captain in the merchant navy. With such a background, his destiny was written. He first started working in 1984 in the merchant navy, before getting involved in the yachting industry. Thanks to his technical and interpersonal skills, he soon became Captain on board prestigious yachts. In 1994 he introduced BAIA to the French Riviera and five years later he created Ocean Drive, becoming the brand’s exclusive representative for France and Monaco. He then expanded Ocean Drive’s activities by importing additional luxury brands such as PEARL, MONDOMARINE and ARCADIA. Renaud has to main passions : Cruising along the Med and flying helicopters. Catherine entered the yachting industry in 1994. 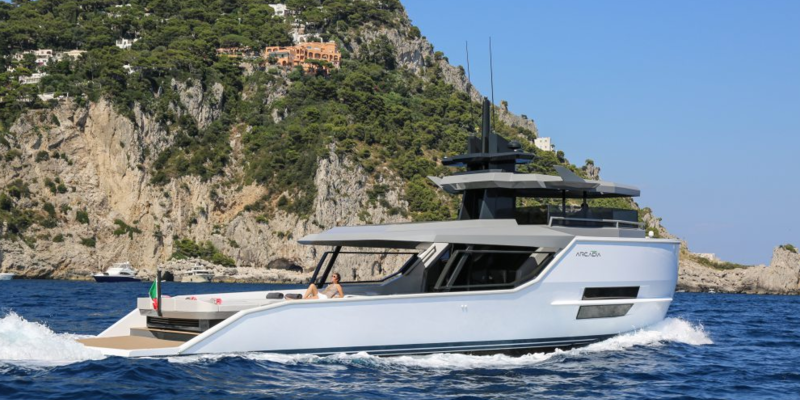 Combining her passion to high performance athletics - she was a member of the Monaco Olympic Team - she first worked within a Monaco-based company, importers of American yachts. There, she developed strong marketing and communication skills & techniques, as she was in charge of promoting the brand in several European and American boat shows. Thanks to her Home Town near Germany, she has always been in contact with an international environment and has therefore a natural sense of diplomacy and cross-culture understanding. In 1999 she joined Renaud in the Ocean Drive adventure and her expertise allows her to develop several services within the company such as team management, customer service and quality control. Catherine loves travelling and discovering new horizons. Truly passionate by the yachting world, Thomas joined the Ocean Drive Team in the early 2013. His father, a world traveler gave him the passion for discovering new horizons. Thomas has travelled all around the world, from America to Down Under,through African deserts to Asia and Scandinavia. Thomas successfully completed his business studies in the South of France and in Norway, where he obtained a double degree specializing in Management, Business Development and Entrepreneurship. He also has a good knowledge of the Mediterranean Sea having worked on board yachts in France, Corsica & Sardinia for several summer seasons. Thomas has a powerboat license and his STCW95. He’s also held a PADI diving license for over 10 years. Daughter of a former skipper/sailing instructor, Shirine was brought up in a nautical world. Attracted by travel, and with the benefit of her nautical heritage, Shirine naturally chose to study tourism. After graduating with a degree in Tourism infrastructure Development, she decided to discover Australia, a country that had fascinated her for many years. After 6 months of valuable personal experience, she was employed by an events agency in a capacity corresponding to her studies. Within this company, Shirine was able to apply her theoretical knowledge while continuing to develop her skills. Dynamic and determined, within three years she progressed from the position of Assistant to that of a competent Project Manager. Now she would like to employ her skill and experience in the general organization of a challenging sector requiring professional rigor and personal dedication. From Germany, Heike arrives in Paris in 1984 in order to improve her French knowledge. Falling in love with the country and its culture, she has been living and working in France for over 34 years now. In early 1999, she has joined the yachting industry working for a renowned British yacht builder. She has acquired a solid experience in the industry as trilingual secretary, sales and after sales assistant, accounts department and director’s assistant. Now, she is sharing her experience with our team and she is in charge of the Yacht Management department. Newly arrived in the Yachting industry, Alexandre is taking care of all that is crew related for the yachts in the care of OCEAN DRIVE, as well as all social and tax matters. Introduced in OCEAN DRIVE team after he completed his master’s degree in corporate tax law, he now shares his knowledge in fiscal law and human resources with his coworkers. His lawyer formation made him aware of the different legal frameworks applied to the vessels activity. 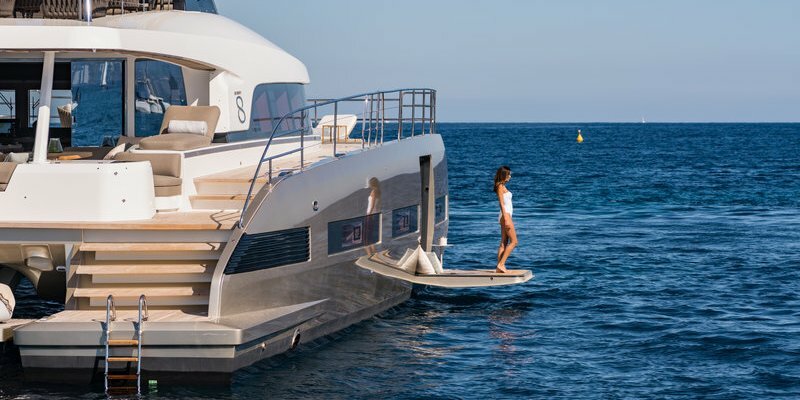 In this instance, he acquainted himself with the Maritime Labor Convention of 2006 (ILO MLC, 2006) and the International Ship and Port Facility Security (ISPS) in order to better grasp the numerous maritime and social regulations the yachting industry faced the last few years.